In our custom letterpress work we see an almost daily request from designers for white inks and/or light colored inks printed on dark colored paper stocks. Since white ink and light colored inks are not completely opaque, the ink will print on the paper with some transparency. This ink transparency is more evident the darker the paper color. This issue represents a learning curve for folks coming to letterpress print production for the first time. White ink does not turn out bright white and light colors will not print lighter than the stock color they are printing on. Metallic inks are a notable exception and will print opaque on colored stocks. 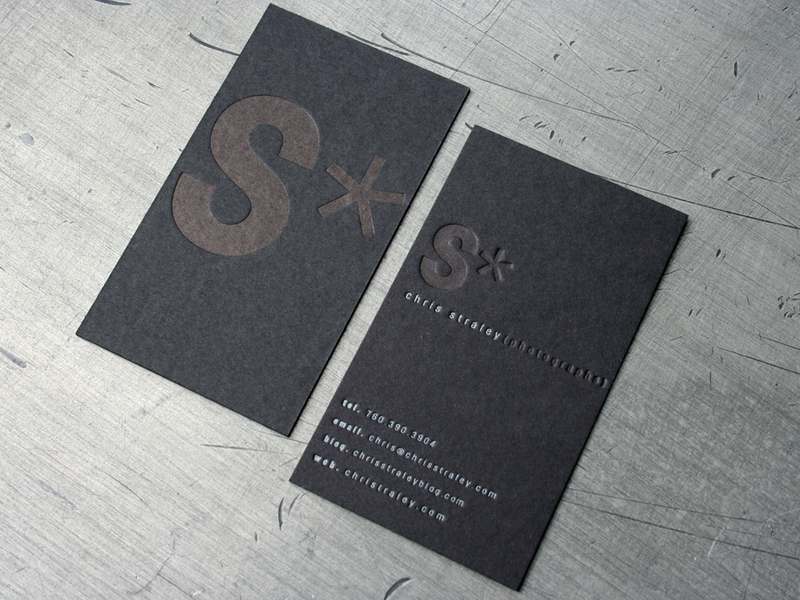 These card design offers a look at what letterpress printing CAN do. These business card were designed by Aadvark Brigade,Chris Straley Photography, and JDH Group. The designs shown are printed on the same black paper stock - 200lb Wausau Eclipse Black. - The Straley card is black and silver ink. - The Aardvark card is Opaque white and silver inks. 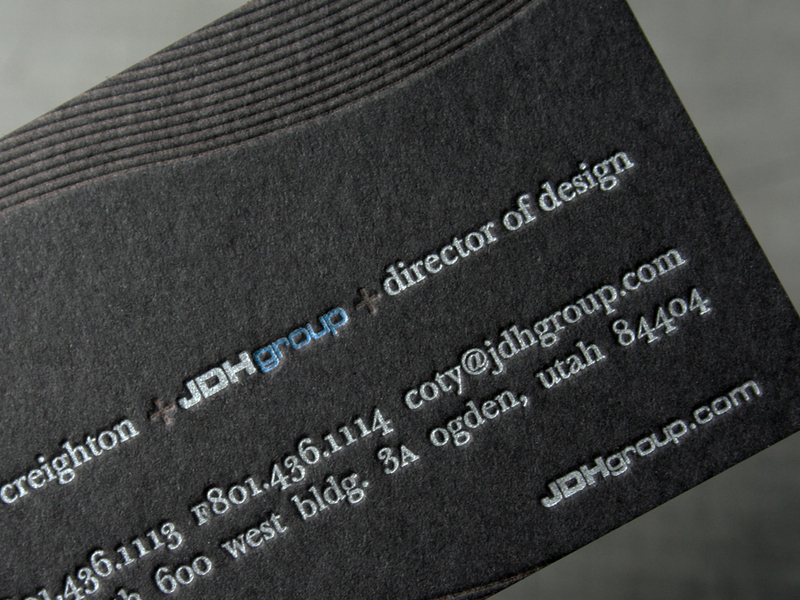 - The JDH Group is black, silver and metallic blue overprinting the silver inks. The final cards turned out great and offer a nice comparison of how the various inks letterpress print side by side. Notice how the white ink has almost a blueish appearance. The black ink gives a nice tonal effect and a metallic color overprinting silver offers some additional opacity to the color.